Resolve Optics Ltd. reports that it has received its single largest ever order for non-browning zoom lenses. The order from nuclear inspection specialists – Visatec GmbH (www.visatec.net) is for integration into their high-radiation resistant PTZ tube cameras being supplied for a major european project. Visatec high-radiation resistant tube cameras with integrated LED-Lighting are designed for visual inspections in nuclear areas. 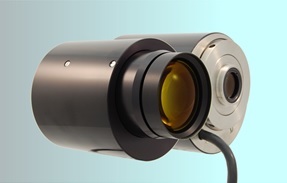 Applications for these cameras include inspection of fuel elements, pressure vessels and nuclear cores as well as inspection of loading and offloading of nuclear materials. Mark Pontin, Managing Director of Resolve Optics commented “We are delighted to secure this significant order for our Model 200 (3x) and Model 290 (6x) non-browning zoom lenses from Visatec”. Mr Marcus Jocham, Business Development manager of Visatec commented “We chose Resolve Optics as our supplier because of their in-depth knowledge of the requirements of lenses to be used in a nuclear environment, excellent technical support and competitive pricing”. Drawing upon over 20 years experience Resolve Optics has built a strong reputation for specialist lens design and manufacture of smaller production quantities of radiation-resistant lenses and optical products on time to strict quality and target price guidelines. All optical elements within Resolve Optics radiation tolerant lens designs are made using cerium oxide doped glass or synthetic silica enabling them to withstand radiation doses of up to 100,000,000 rads and temperatures up to 55°C without discoloration or degradation of performance. All Resolve Optics non browning lenses provide high image resolution and minimum geometric distortion from 400 to 750nm. 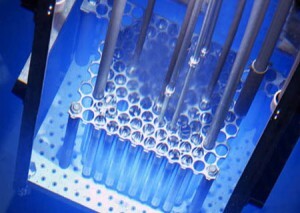 For further information on non browning lenses for challenging nuclear applications please visit www.resolveoptics.com/non-browning-lenses/ or contact Resolve Optics Ltd. Now on telephone +44-1494-777100 / email sales@resolveoptics.com.